“Goodbye” awkwardly placed bathtub, and “Hello” gorgeous walk-in shower! 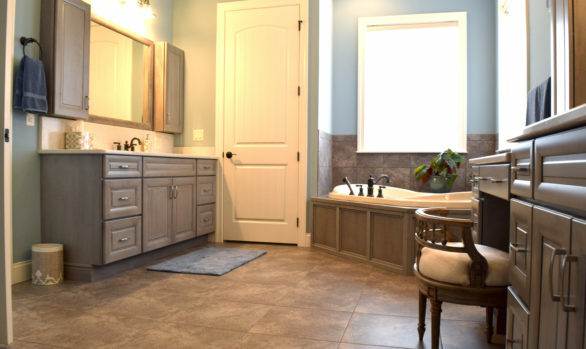 Many bathroom remodels are replacing a tub with a custom shower. This master bath had a large, rarely used tub jutting out into the middle of the room. Keeping resale value in the forefront of the redesign efforts, the homeowners wanted to upgrade to a more functional and fabulous feature–a luxurious shower. Our experienced craftsman removed the tub, and installed a stunning custom tiled shower. The homeowners are pleased with their new shower, which features decorative glass tile work, a bench, a handheld shower head, and multiple storage niches. Looking for more ideas and personal assistance? We have the region’s largest showroom of fine cabinetry and fixtures! 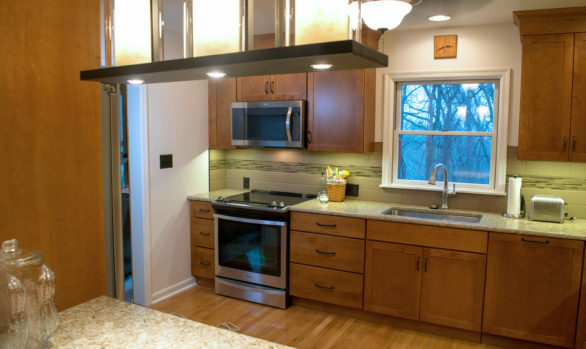 Our design and installation professionals can help maximize the possibilities within your space and budget! We offer a FREE in-house consultation; a full quote and 3D pictures! Picture yourself in the space of your dreams!